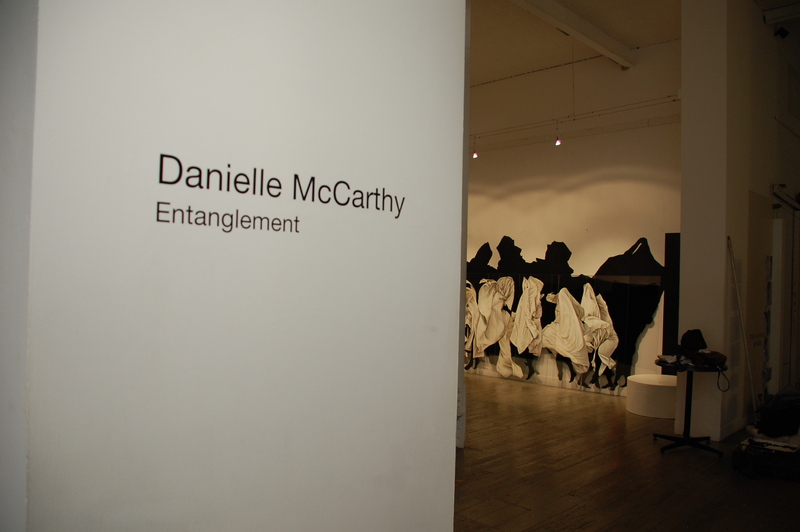 Danielle McCarthy is an interdisciplinary visual artist with a special interest in the expanded fields of painting and drawing. Her works seek to explore difference through repetition, duration and performance drawing. These creative projects play with the idea of torsion between bodies through the enactment of repetitive gestures enacted across specified time periods. She is particularly focused on bodies suspended within the cross hairs of events, that reach back into memory whilst also reaching out towards the possibility spaces of the future. McCarthy’s practice acknowledges its debt to feminism through an engagement with those forces that hold bodies together. This is achieved through the creation of spatial interventions that set forth in a direction without a destination and become an exploration of constant change and the ancient evolutionary potential of bodies in becoming.